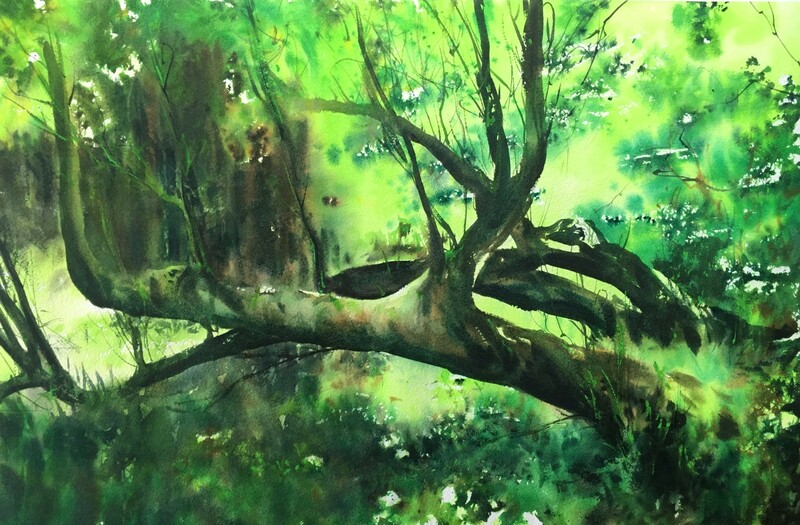 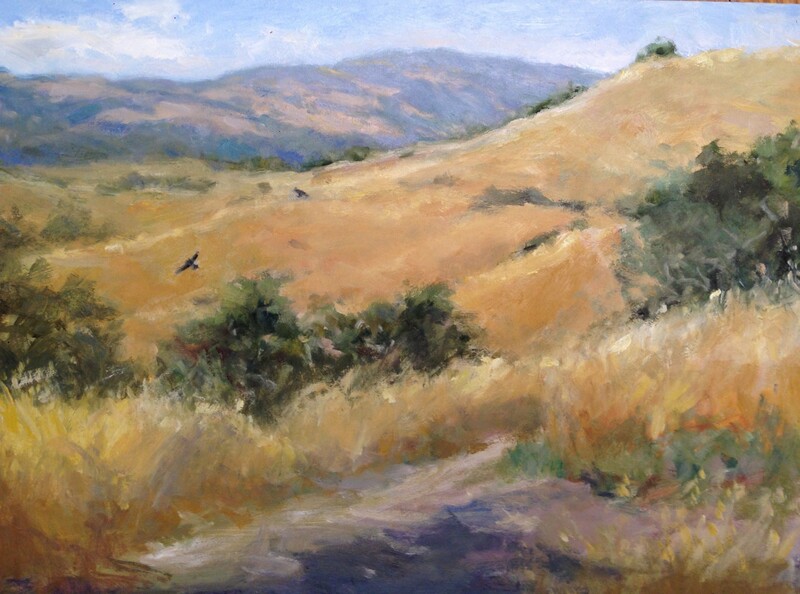 “Plein Air” means “open air” and signifies outdoor painting that captures nature’s light. 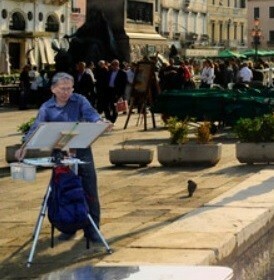 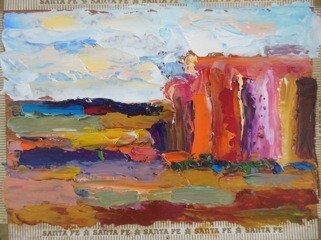 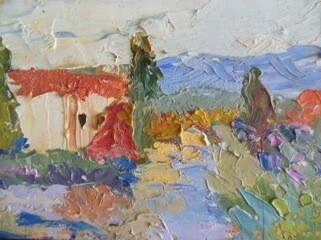 Plein Air painting became famous in France in the 19th century. 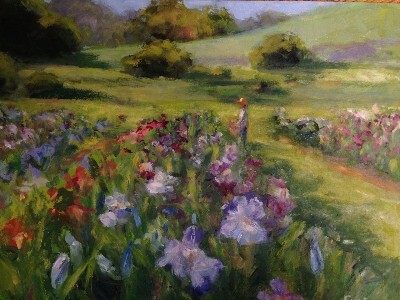 The invention of paints in tubes enabled impressionist artists, such as Van Gogh and Monet, to paint outdoors, en plein air. 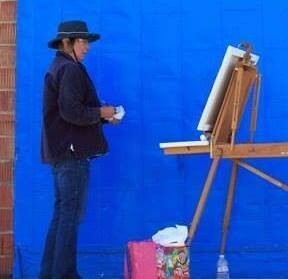 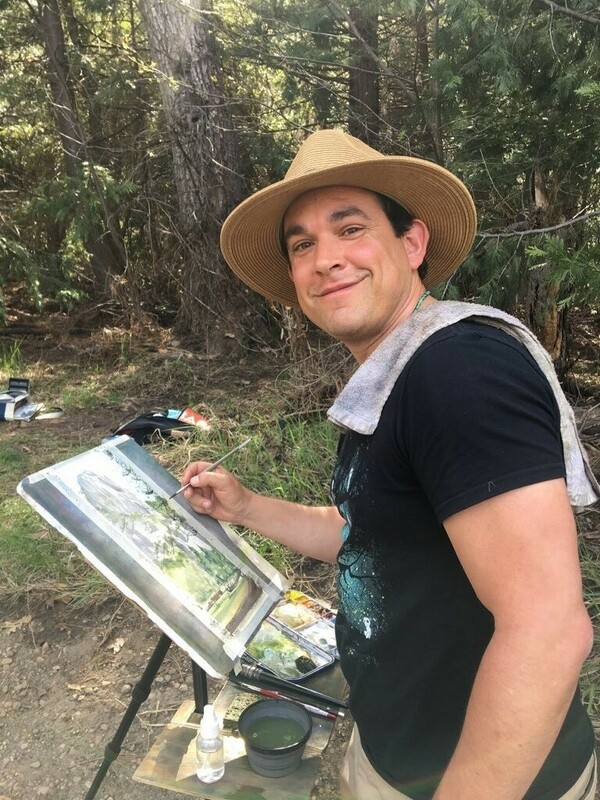 "Not until the late 1860s, with the work of Claude Monet, Pierre-Auguste Renoir, and Camille Pissarro, the leaders of Impressionism, did painting en plein air become more popular. 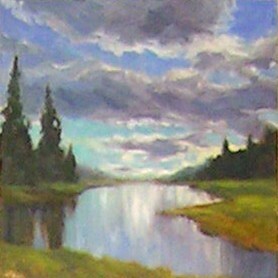 This change came about from 1881, when Monet, in his efforts to capture the true effects of light on the colour of landscape at any given moment, began to carry several canvases at once into the out-of-doors. 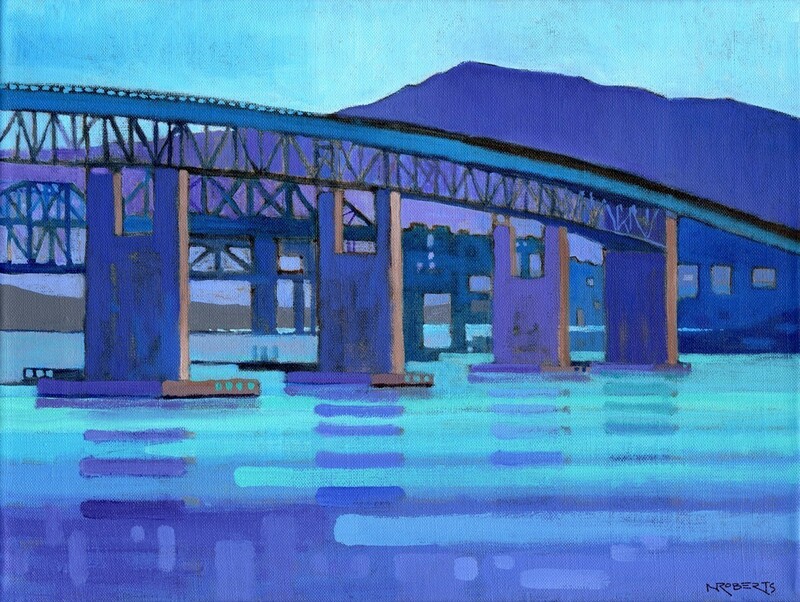 On each he began a painting of the same subject at a different time of day; on subsequent days, he continued to work on each canvas in succession as the appropriate light appeared." 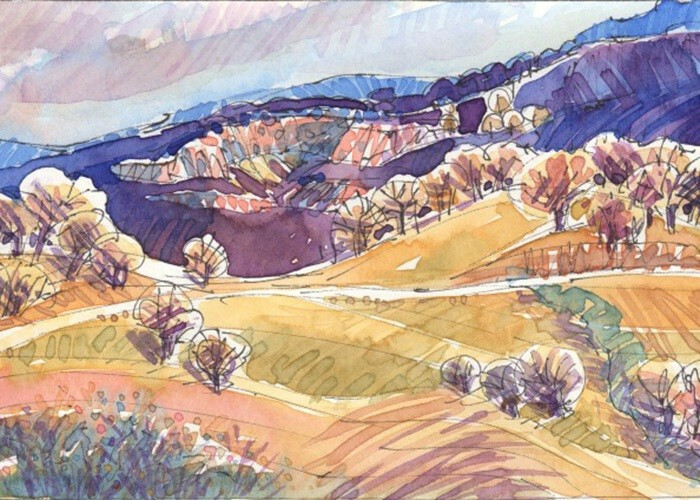 A year-round exhibit showcases the gallery's artists, refreshed monthly. 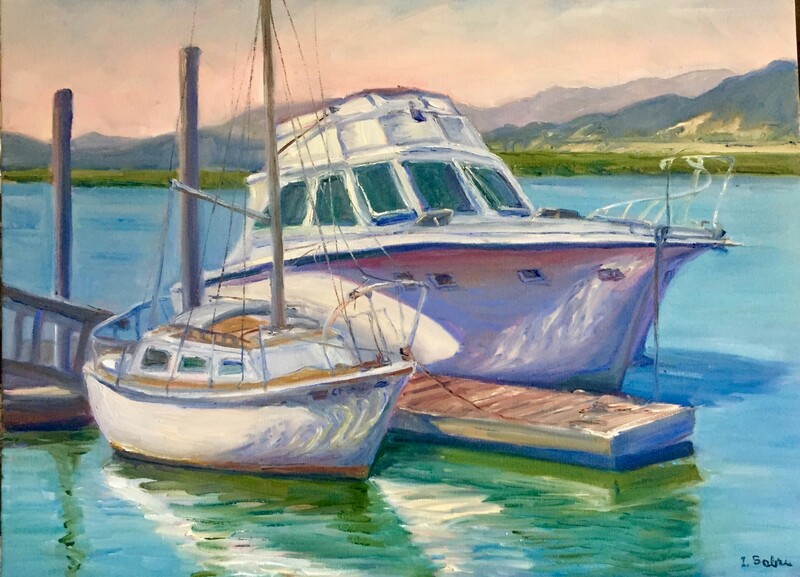 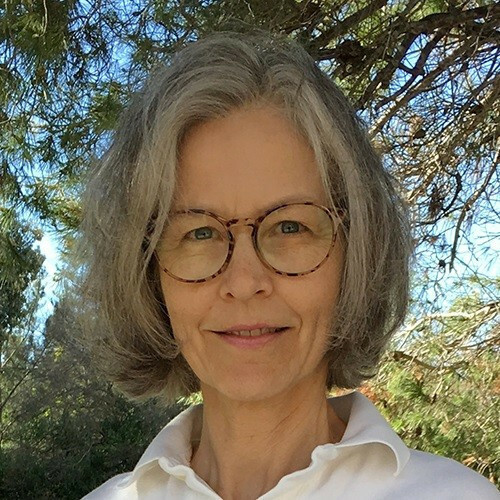 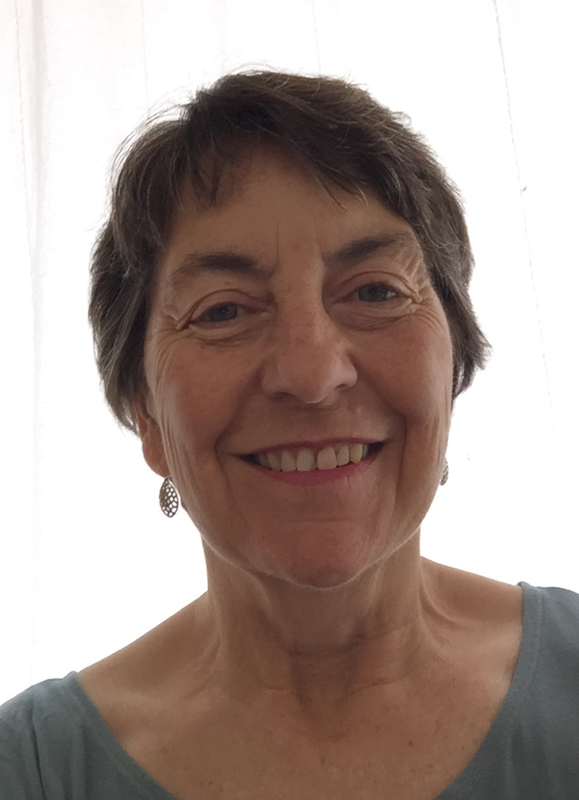 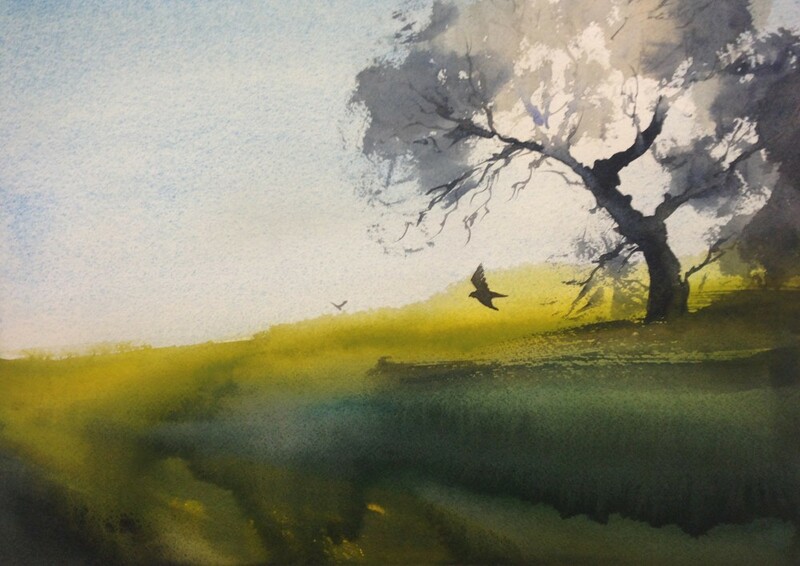 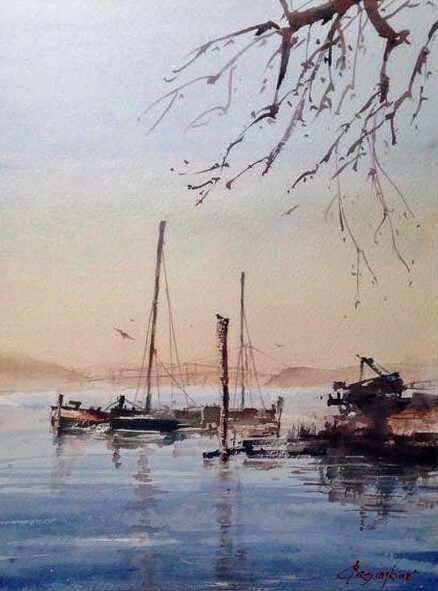 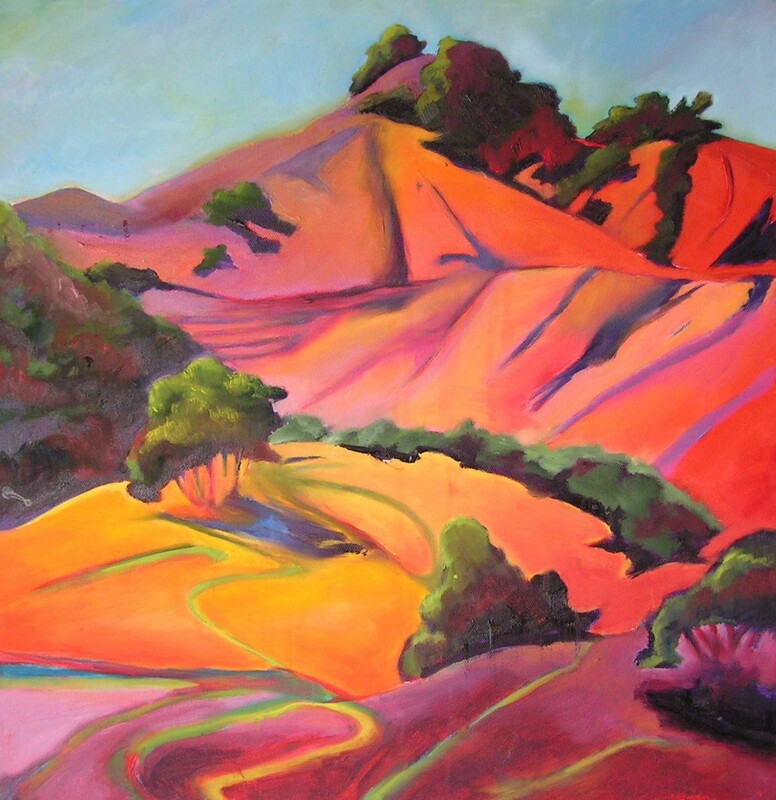 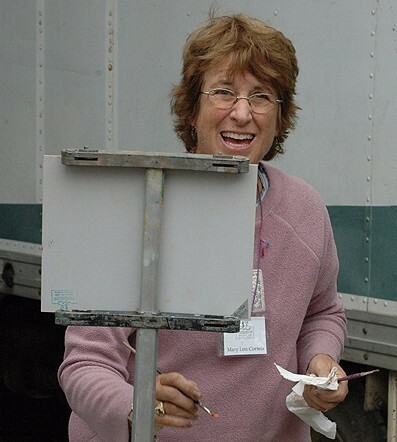 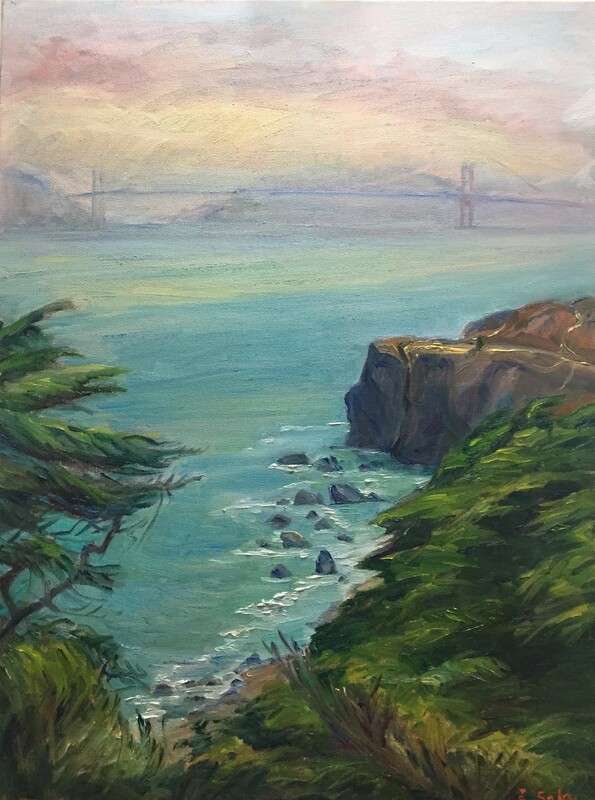 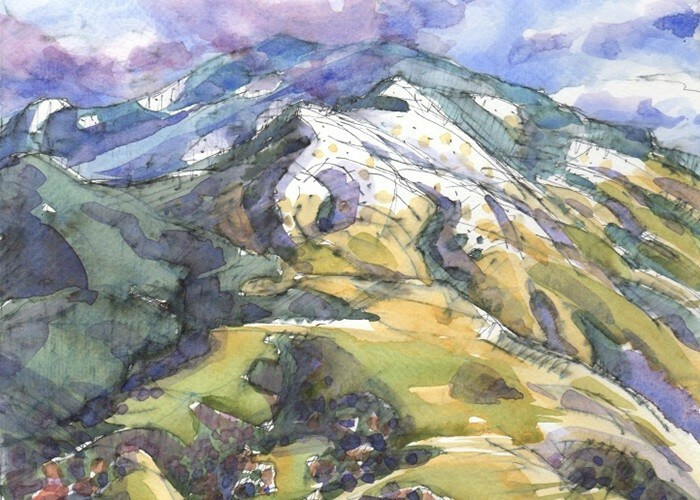 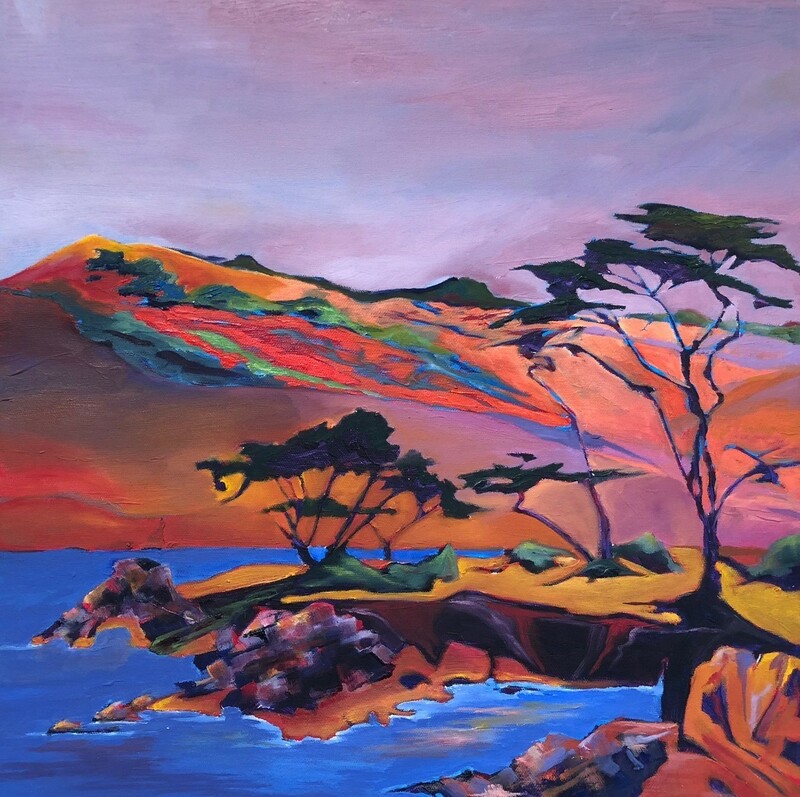 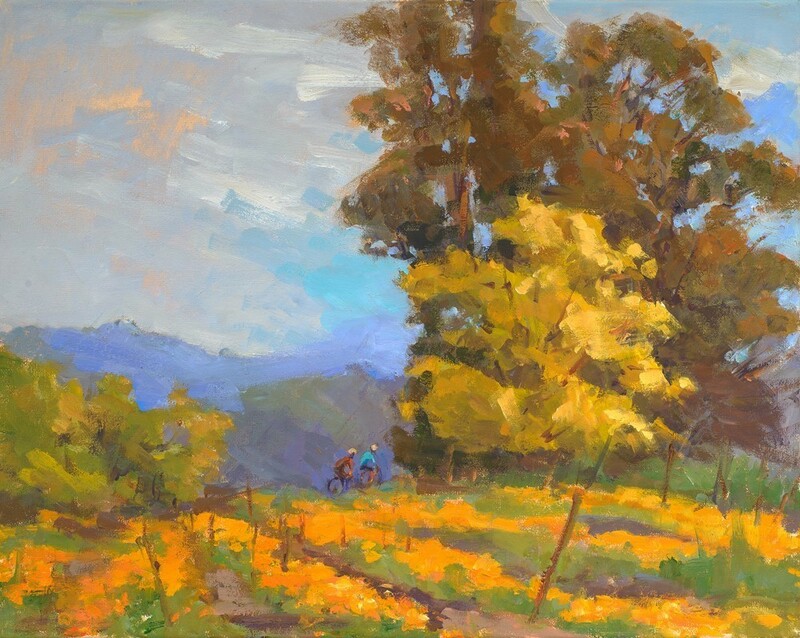 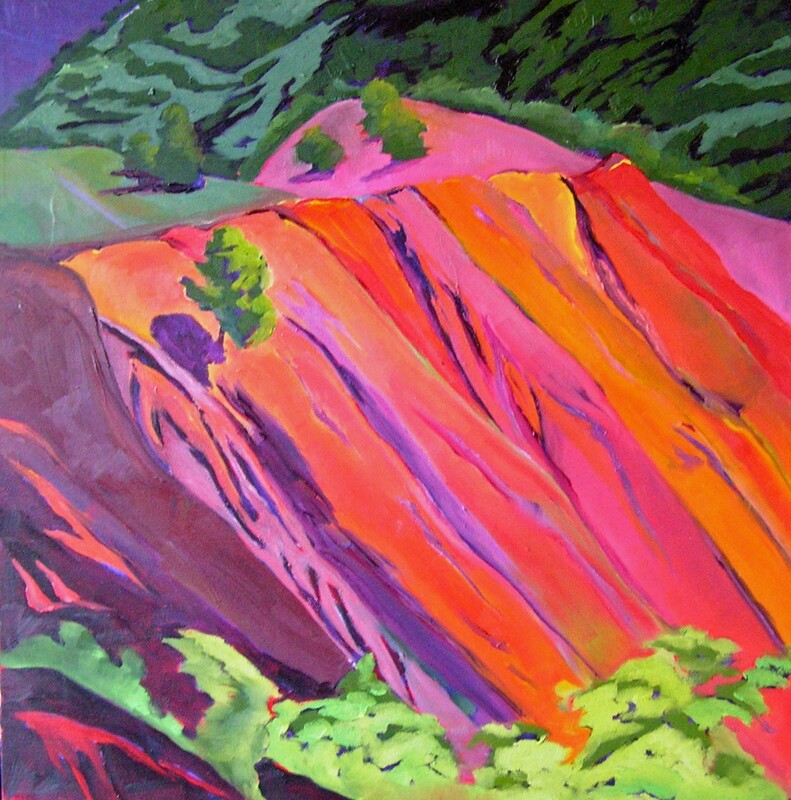 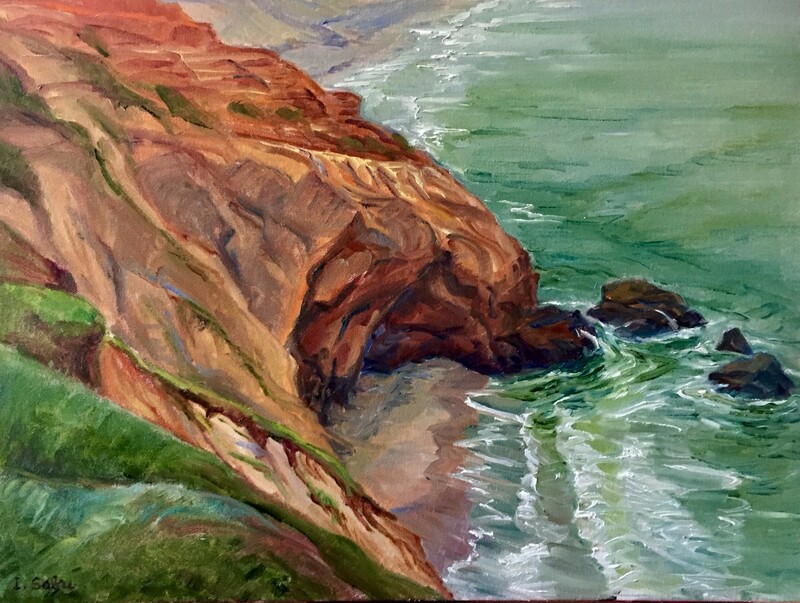 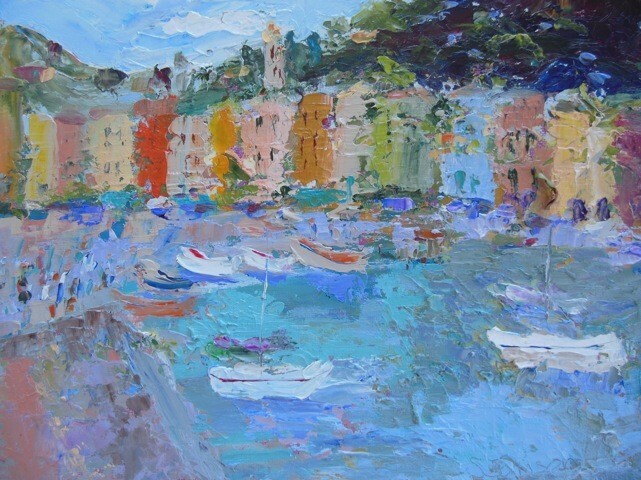 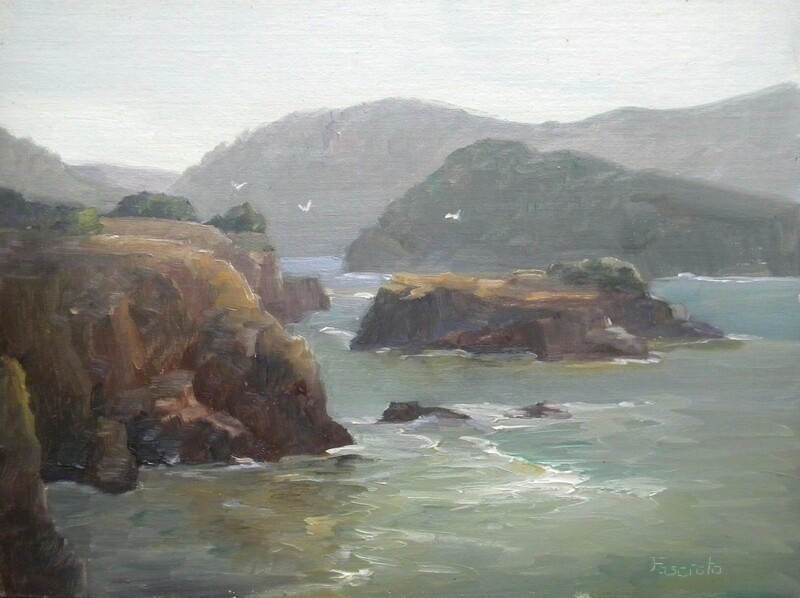 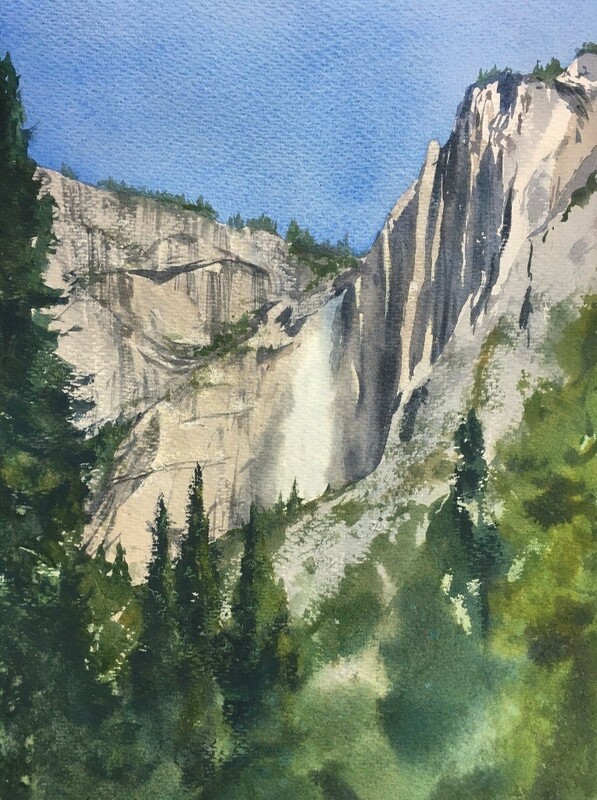 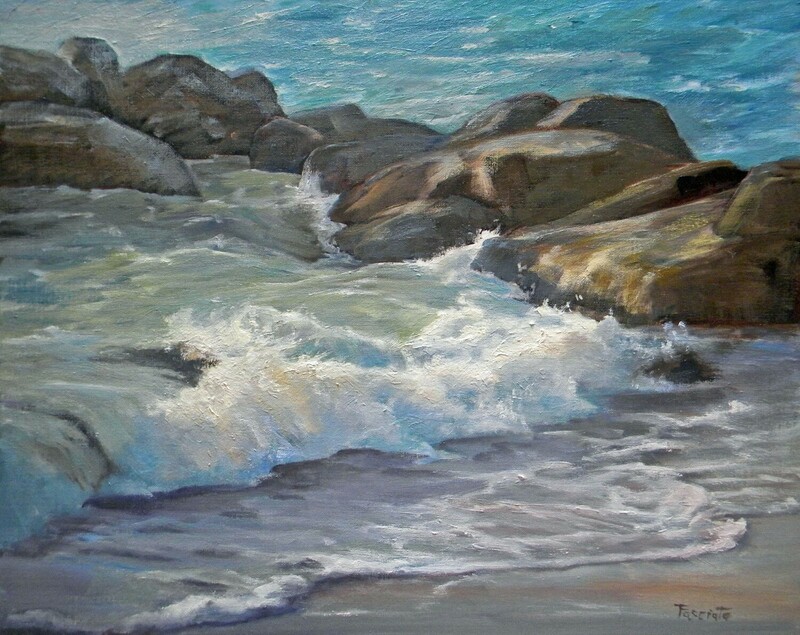 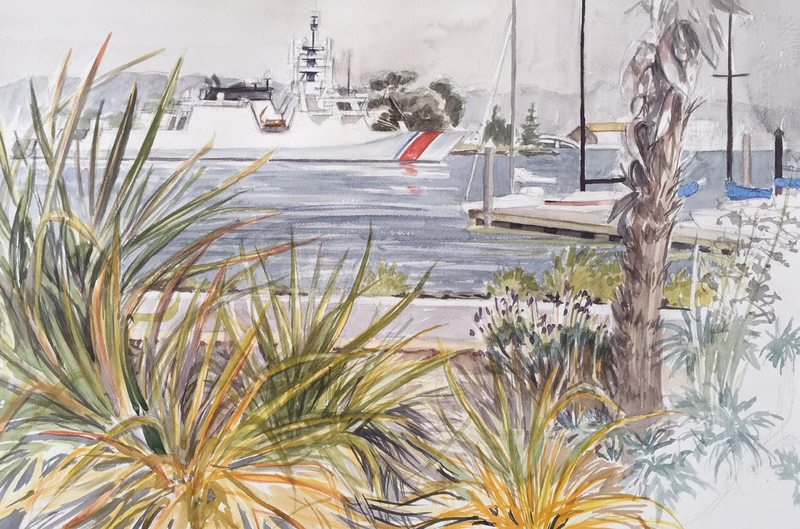 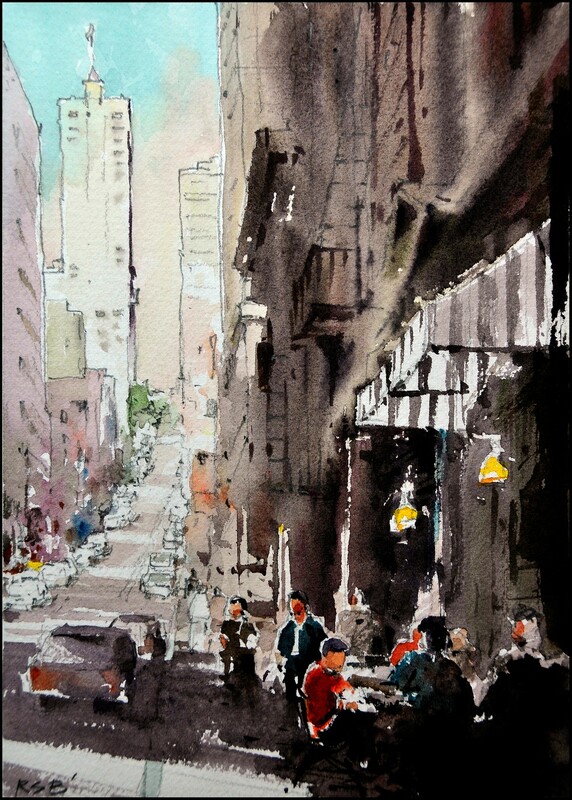 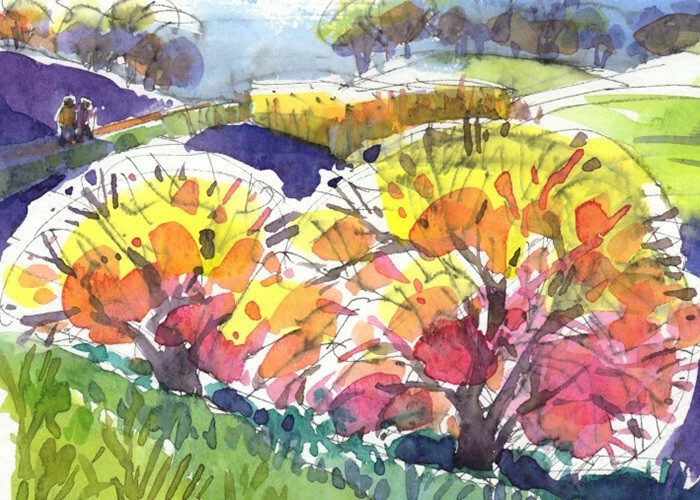 Nancy Roberts takes the featured artist spotlight at Benicia Plein Air Gallery with her exhibit "Color Journeys", running April 4 through May 5. 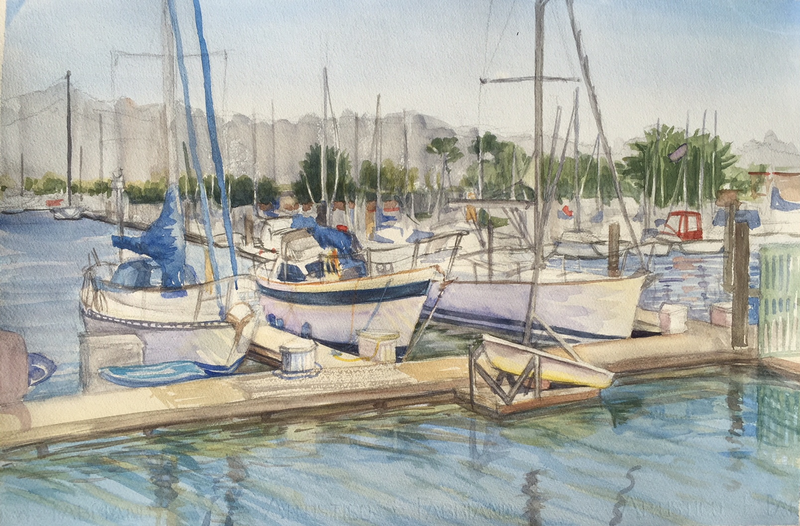 The community is invited to the artist's reception on Saturday, April 6 from 4 to 6 pm. 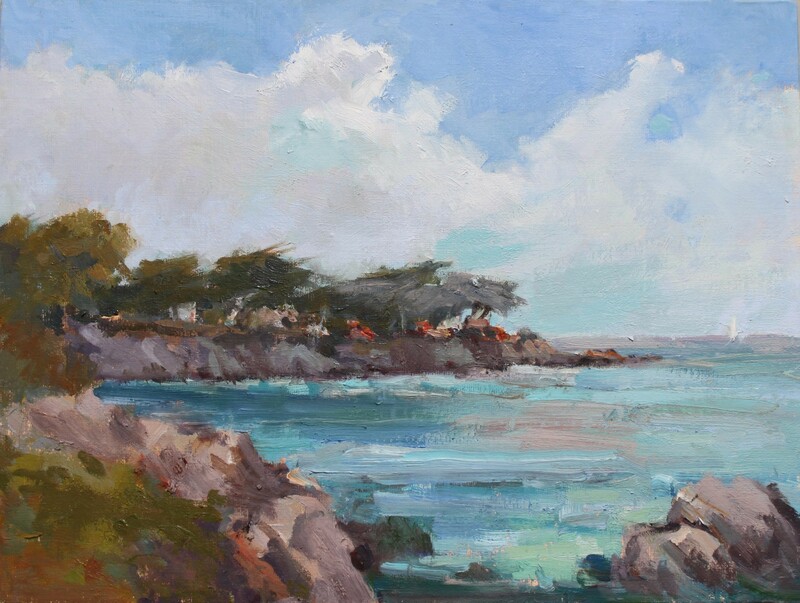 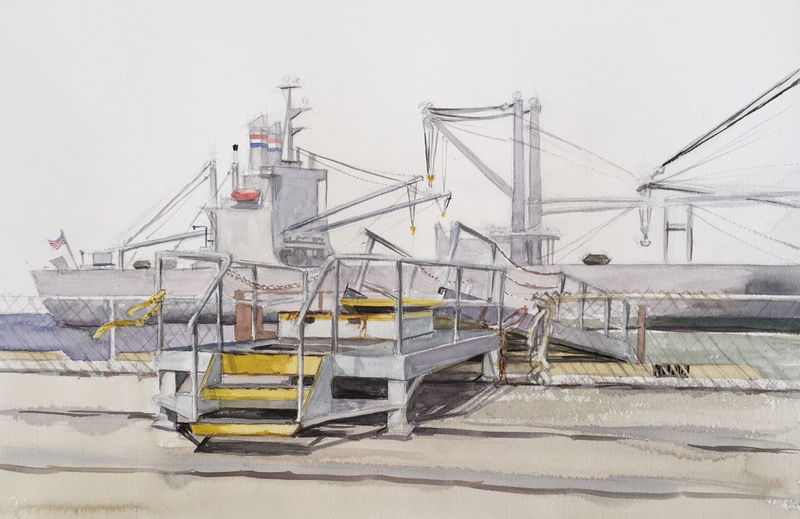 Also on exhibit is a new collection of plein air paintings by all 13 of the gallery's artists showcasing a colorful variety of media and styles. 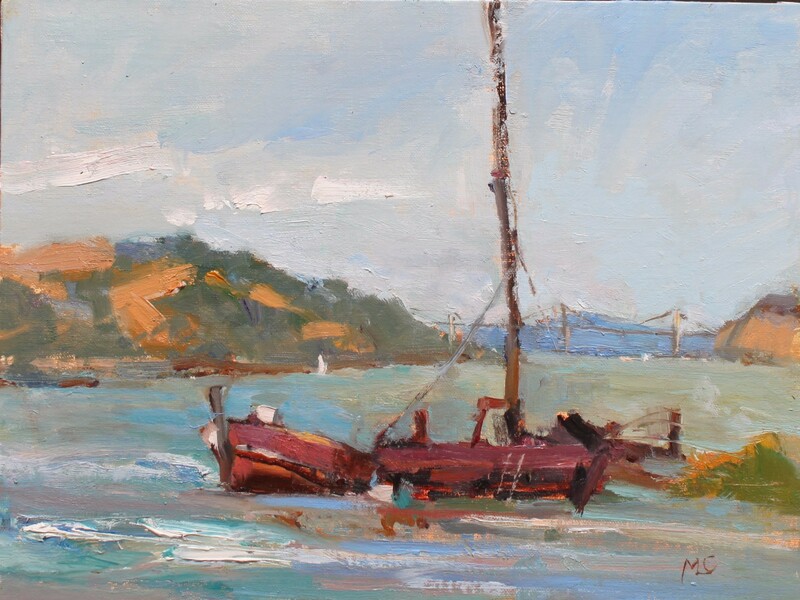 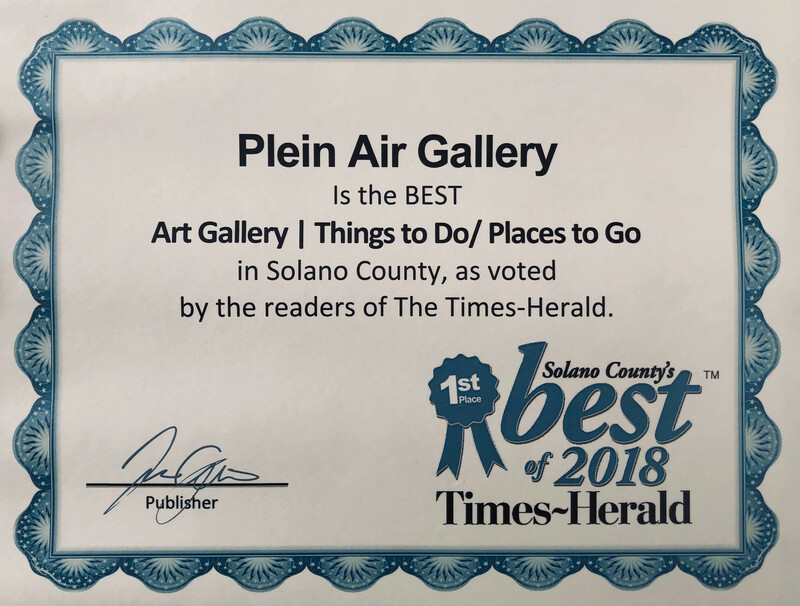 Benicia Plein Air Gallery is located at 307 First Street in the heart of historic downtown Benicia. 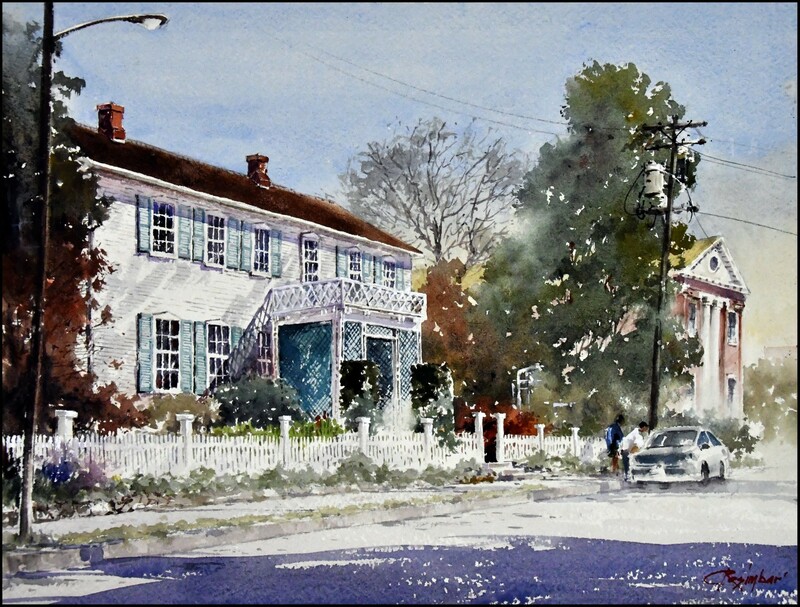 Staffed by the artists, the gallery is open Thursdays through Sundays, noon to 6 p.m.